Chris is best known for presenting British football. A former 'hard man' defender and midfielder, Chris played for eleven different clubs during his long and successful playing career. The highlight was winning the First Division Championship with Leeds. On Soccer AM Chris provides entertaining links from whichever ground he happens to be at that day. He also co-presents the morning review show, Goals on Sunday. Chris is a retired English footballer and manager who was born in 1957. Known as Kammy, he played as defender/midfielder during his twenty year career. Born to a father of Sierra Leonian roots, he played for a number of different teams including the 1992 Championship winning side Leeds United - probably the highlight of his playing career! In recent years he has worked as a football pundit and commentator, and his fun loving approach has made him popular with viewers. Born in Middlesbrough, Chris had a reputation for being a bit of a hard man due to his strong tackles. However, his enthusiasm for the game and commitment earned himself an army of fans and cult status. After a brief spell in the Royal Navy, he began his senior career at Portsmouth in 1975. This was the start of a long and successful football career and he stayed with the club for two years. Never spending long at one particular club, he spent the following years at Swindon Town (this was followed by a brief return to Portsmouth), Brentford, Swindon Town once again and then Stoke City. In 1990 Chris signed for Leeds United where he was part of the side that won the Championship in 1992 under Howard Wilkinson's management. He has also played for Luton Town, Sheffield United and Bradford City. He played more than seven hundred games before hanging up his boots and retiring from professional football. Chris spent short spells as manager for both Stoke City and Bradford City. During his short time as manager at Bradford City he was instrumental in seeing them promoted to the First Division in 1996, after beating Notts County in the play-off final. This was undoubtedly one of the greatest moments in the club's history and as a result he is held in high regard at Valley Parade. Chris began his career as a commentator in 1996 and he is now a well known football pundit on both television and radio. His excitable reporting style has earned him a whole new league of fans, and his talent as a presenter has opened up a whole new career for him. He presents the Sky Sports 'Goal on Sunday' programme and also provides commentary for some of Sky's televised matches. Chris appears most Saturday mornings on Soccer AM. 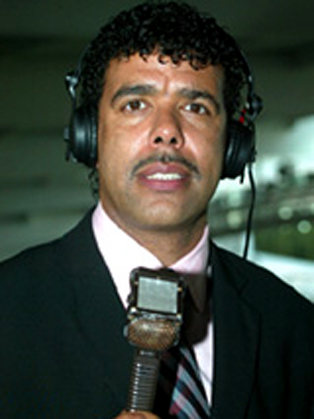 This slot as regular guest star (entitled 'Kammy Do It') sees him taking part in a whole range of different challenges where he is pitted against other professionals or celebrities. Such activities (which are set by the viewers) have seen him clay pigeon shooting, playing table tennis and even weight lifting!